"Legislative history" refers to the background and events leading to the enactment of a statute, including hearings, committee reports, and floor debates. Legislative history can be used to aid in interpreting the statute (Black's Law Dictionary). The federal legislative process begins with introduction of a bill in the House of Representatives or the Senate. Bills are numbered sequentially as they are introduced. The bill may be referred to a congressional committee for consideration. If not enacted into law, a bill dies at the end of a two-year Congress. Congress conducts hearings to gather facts, data, and expert opinions on subjects of legislation. Bills referred to committees can be amended in markup sessions. Committees issue reports when they vote favorably on bills. Committee reports are considered to be the most significant parts of a legislative history, because they discuss Congress's intent in passing the bill. Transcripts of hearings, witness testimony, committee reports, and supporting documents (committee prints) are parts of the bill's legislative history. Bills reported favorably out of committee are brought up for floor action by the full House or Senate. There the bill may be debated and amended before being passed by that chamber. Congressional debates are also part of the legislative history of a bill. Once passed by one chamber of Congress, the "engrossed" bill is printed in the Congressional Record and referred to the other chamber of Congress. The engrossed bill goes through the same process in the other chamber of Congress. The bill may be amended several times as it makes its way through Congress; if different versions of a bill are passed in the Senate and House of Representatives, a conference committee must be convened to work out the final version. Members of both houses of Congress serve on conference committees. If they agree on a reconciled version of a bill, they issue a conference report containing an explanation of their deliberations, which is printed in the Congressional Record. The conference report and amended bill must be debated by both the House of Representatives and Senate and passed without further change by both. The final version of the bill is known as an "enrolled" bill. The enrolled bill is sent to the President for signature. The President must sign the bill into law within ten days, or may veto the bill and send it back to Congress with a veto message (a Summary of Bills Vetoed from 1789 - present is on the U.S. Senate website). To override a veto, two-thirds of the Congress must vote for the override. In some cases, the President takes no action on a bill sent to him, and it automatically becomes law, even without his signature, if Congress is still in session. If the President takes no action and Congress adjourns before the ten-day limit, the President's inaction becomes a pocket veto and the bill fails to become a law. When the President signs a bill, it is immediately effective as law. A presidential signing statement may also accompany it. The new lawt is assigned a Public Law number and published as a "slip law." New laws are published immediately online; in print, after publication of individual slip laws, all laws passed in each session of Congress are published sequentially in the United States Statutes at Large. Congressional documents are also part of legislative history research. These documents are not prepared in Congress; they may include agency reports, presidential messages, investigative reports, and submissions by non-governmental organizations and interested citizens. There are four types of congressional documents: House and Senate Documents; Senate Executive Documents; and Senate Treaty Documents. The legislative process followed by most state legislatures is roughly the same as that in Congress. Richard J. McKinney & Ellen A. Sweet (last revised Jan. 2015). Law Librarians' Society of the District of Columbia (LLSDC), Legislative Sourcebook (April 2013). Contains the Federal Register (1960- ) and Code of Federal Regulations (1996 -), as well as the Compilation of Presidential Documents (1993 -). Todd Garvey (Congressional Research Service Jan. 4, 2012). Matthew Eric Glassman (Congressional Research Service March 31, 2008). Jerry W. Mansfield (Congressional Research Service, February 6, 2017)..
Live and archived streaming video fees of House floor proceedings beginning Jan. 6, 2009. Streaming live Senate floor proceeding, beginning with the 112th Congress, 2nd Session (2012). This collection features the complete Congressional Record Bound version, as well as the daily version back to 1980. It also includes the three predecessor titles: Annals of Congress (1789-1824), Register of Debates (1824-1837) Congressional Globe (1833-1873), and Congressional Hearings (1927-2015), as well as other important congressional material. Using the Daily-to-Bound Locator Tool, you can quickly find a page in the Bound volume from the Daily edition. Available off campus with Pace portal credentials. (HeinOnline) - Collection of full-text legislative histories on significant federal legislation (Pace username and password required). 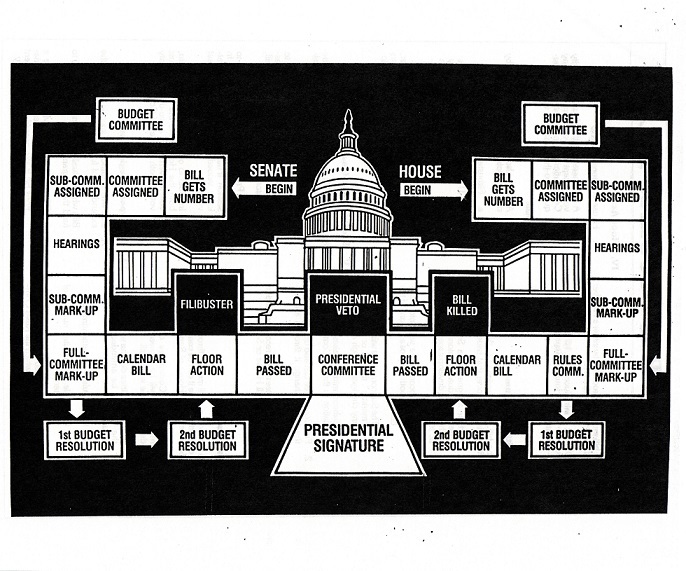 Legislative history materials for congressional bills beginning with the 93rd Congress (1973-74). LLSDC Legislative Source Book (last revised March 24, 2017). Choose "Legislative History" link from All Content; under Federal, choose "U.S. GAO Federal Legislative Histories" (search by citation) or "Arnold & Porter Legislative Histories" (choose from list). Choose "Statutes & Legislation" from All Content box, then "Legislative History." Search for specific types of legislative documents, or for the full legislative history of a public law through the CIS Index link. (West 1944-) (KF48 .U5) - public laws for each session of Congress, selected legislative histories, proclamations, executive messages and orders, regulations, committee lists, indexes and tables. USSCAN is also available on Westlaw. (1970 -) (KF49 .C62 Microform Finding Aids) - Abstracts of legislative history materials, indexed, with citations to microfiche documents). (KF38 .S5 1976 (first series)), (KF38 .S5 1984 (second series)) - detailed legislative histories of landmark statutes, with congressional debates reproduced in full.